The name Nobu suggests Japanese-inspired flavours, and one will not be disappointed with the assortment on offer. 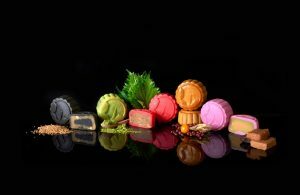 From the golden-brown baked selection to the chewy mochi shiso skin, the full-bodied matcha filling to the nutty black sesame finish, there is a flavour for everyone. BAZAAR’s favourite? Mochi ice cream with a chocolate yolk.